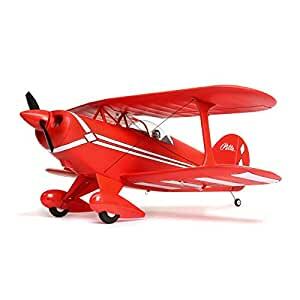 Nothing compares to a Pitts biplane. Critics around the globe agreeâflying one will spoil nearly all other aerobatic experiences. First flown almost 75 years ago, to this day the Pitts plans, kits, and finished biplanes that leave the Aviat Aircraft Company, are all remarkably similar to the pioneering original design. The E-flite Pitts S-1S park flyer is a tribute to the Curtis Pitts design that distinctively combines an authentic appearance with great handling for incredible performance any RC pilot can appreciate.